Teresa earned a B.A. in Psychology with a minor in Communications from Hamilton College. She went on to complete a post-baccalaureate program in Communication Science and Disorders at Florida International University, and an M.S. in Speech-Language Pathology at Florida State University. Teresa’s experience includes direct therapy, academic, and volunteer endeavors. She has evaluated and treated children and adults in various practicum settings, including a speech and hearing clinic, a rehabilitation center, and elementary schools. At ICT she assisted the team during two summer camps, and also completed her externship. She participated in the Autism Spectrum Specialized Education and Training Grant, designed to help speech-language pathology graduate students better address the needs of individuals with autism and their families. 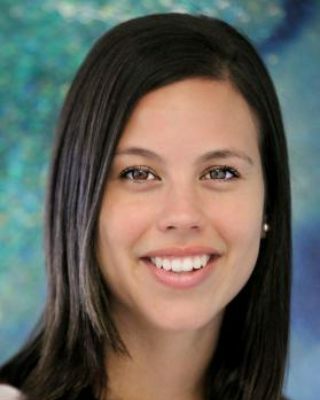 Her volunteer services include assisting outpatient audiological screeners at the Special Olympics Florida in Orlando. Teresa has received continuing education from the Continued Education Autism Institute. In 2017 she presented research at the American Speech-Language-Hearing Association Convention in Los Angeles, entitled “Coaching Parents of Preschoolers with Autism Spectrum Disorder to participate in a Telepractice Summer Camp.” She is trained in Auditory Verbal Therapy techniques to assist children who are hearing impaired, and she is bilingual in Spanish.